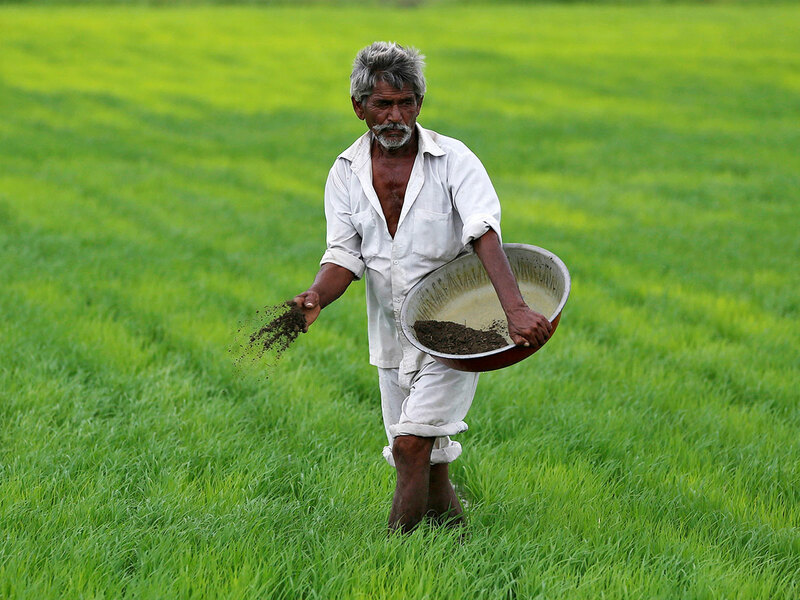 Prime Minister Narendra Modi’s government is planning to combine all farm subsidies, including fertiliser costs, and instead pay farmers cash, the people said, asking not to be identified as the discussions aren’t public. The additional cost will be limited to Rs700 billion ($9.8 billion) annually after a full roll-out of the programme, the people said. Finance Minister Arun Jaitley had budgeted Rs701 billion for farm subsidies in the year ending March 31. Finance ministry spokesman D.S. Malik didn’t respond to two calls made to his mobile phone. The plan for the handout comes after the ruling Bharatiya Janata Party (BJP) was voted out in key state elections last month, forcing Modi to draw up a course correction before federal polls due by May. The government, which has already exceeded the annual budget deficit target, has little room for spending in the current year, having forgone some tax revenue on goods and services following the defeat. The additional spending won’t impact the nation’s fiscal deficit for the current year ending March 31, the people said. The rupee and bonds rebounded after the report pegged the cost lower than the over 2 trillion rupees estimated initially. “Right now if you do such a thing it will be by cutting down on other costs,” said Madan Sabnavis, chief economist with Care Ratings Ltd. in Mumbai. “They won’t go beyond the fiscal deficit target of 3.3 per cent” of gross domestic product this fiscal year. Not all share this optimism. Some economists expect India to miss the goal for a second year in a row as the administration gives into populist pressures. Modi, who is seeking a second term, has to win over discontented farmers before the election. They have been hit by falling crop prices and rising input costs, prompting thousands of them to protest in the street to seek debt waivers. At the same time, the opposition Indian National Congress has raised pressure on the government to act after it waived off farm loans following victories against the BJP in three states last month. Investors will be keen to know where the additional funds will come from. While the government’s small savings pool is likely to make up for some of the shortfall, it may look to the Reserve Bank of India for additional funds by way of an interim dividend. But missing budget goals isn’t a big worry for the administration at this point, as it weighs measures to relieve distress in the farm sector and stoke economic growth. Finance Minister Arun Jaitley said in an interview to CNBC-TV18 news channel last week.